Mr. Owen has an AV Preeminent Martindale-Hubbell Peer Review Rating. 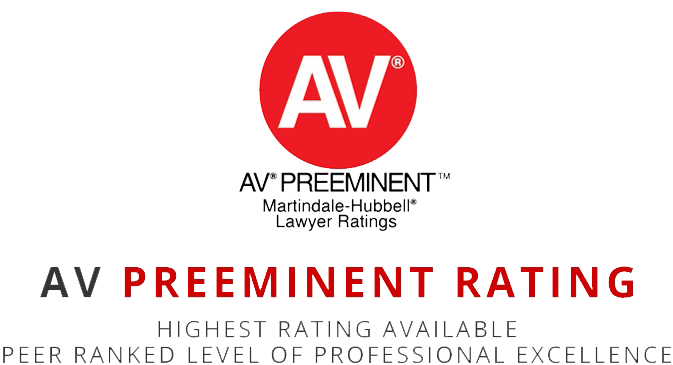 This means that a substantial group of his colleagues familiar with his legal knowledge, analytical capabilities, judgment, communication abilities, legal experience and ethical standards have anonymously rated him professionally and have given him the highest rating possible. Mr. Owen has additionally been rated by AVVO.com based upon his experience, industry recognition and professional conduct. Mr. Owen has an AVVO Superb Rating of 10.0. I was born in Fort Walton Beach, Florida and grew up in the small town of Blakely, Georgia. I attended the University of Georgia and graduated from there in 1992 with a bachelor’s degree in Political Science. Initially I planned to be a pilot in the United States Air Force. I was a cadet in the Air Force ROTC program while I was at UGA, but the end of the Cold War gave me “cold feet”. There was a lot of speculation about there being a decrease in the need for Air Force pilots. That’s how I decided right before graduation to go to law school. I have no regrets about my decision to change career paths. I attended the University of Memphis School of Law and received my law degree in 1995. I began my legal career as an associate with the law firm of Shepherd & Johnston in Griffin, Georgia in August of 1995. I became a partner with the firm in 2002. The firm became known as Johnston, Owen & Bullard, LLP, in 2006. The firm of Johnston & Owen, LLC was formed in 2018. I am currently the manager of the firm with offices located in Fayetteville, Griffin and McDonough. Family law is something that I enjoy. I have handled hundreds if not thousands of contested and uncontested divorces, custody and support modification cases, legitimations, adoptions, contempt cases and guardianship matters. I believe that going through my own divorce and custody case made me a better lawyer, and it helped me to better understand what my clients are feeling when they meet with me. I have a very thorough understanding of family law because it’s what I do every day, but during my divorce case I nevertheless experienced the same anxiety, fear and apprehension that my clients experience when facing an uncertain future. I get a lot of satisfaction out of helping to ease a client’s fears and concerns, but I will always be truthful with my clients. I won’t make promises that I can’t keep, I won’t tell a client what they want to hear just to make them feel better and I certainly won’t create false expectations just to get a prospective client to pay me a retainer fee. My practice has focused substantially in the area of family law, but I also handle a significant number of personal injury cases, car wreck cases and cases involving wrongful death. I have obtained multiple six figure settlements for my clients over my 24 years of practice. My most recent wrongful death case involved the death of a mother and her two small children which was caused by the negligence of their pilot. My most recent auto accident case involved a young girl riding as a passenger in a pickup truck that collided with the rear of a dump truck. My client was left with multiple cuts to her face, neck and shoulder. I was able to push the insurance company to settle the case for an amount that allowed my client to obtain scar revision surgery. Today her injuries are practically unnoticeable because of this surgery. Someone that has been injured due to the negligence of others has a very difficult and important decision to make. How does he or she go about hiring the RIGHT lawyer? I don’t do personal injury advertising because it’s pretty much a waste of money. There’s no way I can compete with the big firms in Atlanta with multimillion dollar advertising budgets, but what I can do is a good job handling my clients’ cases in the areas in which I regularly practice. When I handle a family law matter for a client I can give that client my very best each and every day that I am their lawyer, and I can establish something that is very important just by always being honest and truthful with them. TRUST. When a former client has been injured he or she typically returns to me for guidance about how to handle their case. They have trust and confidence that I will steer them in the right direction. I may accept their case if they request my assistance. If the client wants to interview other attorneys I will still provide them with a checklist of things to do and not to do. The first few days following the injury are CRITICAL, and I just can’t allow the client to leave my office and unknowingly destroy their case….even if they don’t hire me to handle it. There are also occasions in which I have referred the client to another lawyer that I know and respect. What I won’t do is allow that client to become “a number”, which is what happens with the big firms that do a substantial amount of personal injury work. With those firms the multi-million dollar cases get handled by the experienced attorneys that you see on television and the cases of lesser value get handled by their associates that are fresh out of law school. That’s not right and it’s not fair. If you’ve read the information that I have posted then perhaps you should schedule an appointment with me to discuss the matter or the issues that you are dealing with. I may be able to help you. I may not be able to help you. In either case I promise to give you sound legal advice. I hope you click on the “Client Reviews” link below and take some time to read those.